Prepare tasty appam with ease. 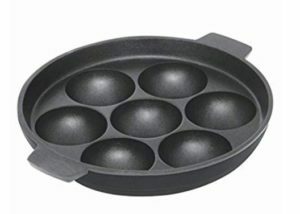 Buy BMS Lifestyle BMS-7K Non-Stick 7 Cavity Appam Maker Patra price Rs.750 at Rs.159 only at Amazon. Environment pleasant Non-Stick Cookware For Healthy Cooking.